Friendship is one of the most sacred relationships available to human beings. We all probably know someone who has offered us true friendship; those who loved us, defended us, supported us and advocated for us till the end. Rita Houlihan is just such a friend - to Mary of Magdala. 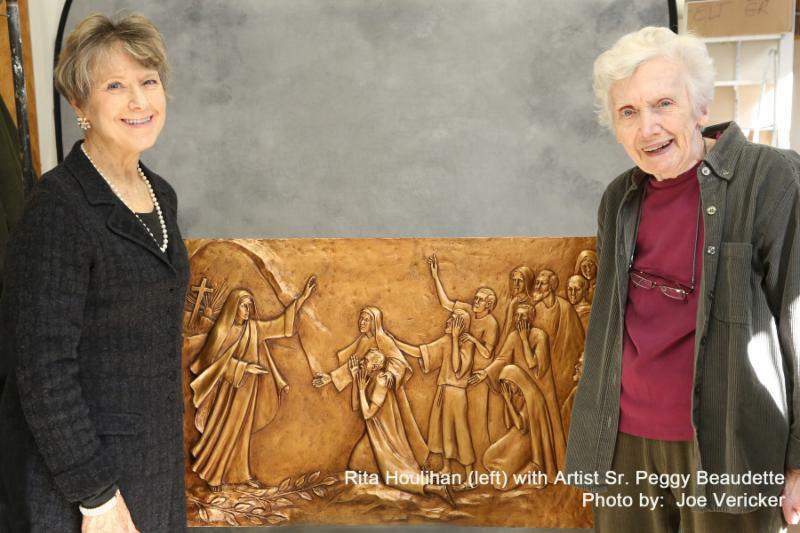 Since retirement, Rita has devoted her life's work to rescuing Mary of Magdala from the centuries-old slander campaign that has distorted her image in our collective memory and robbed all of us of the power of her witness and leadership. She has worked to restore Mary of Magdala to her true role as a key faith leader in our salvation history - an "apostle to the apostles." 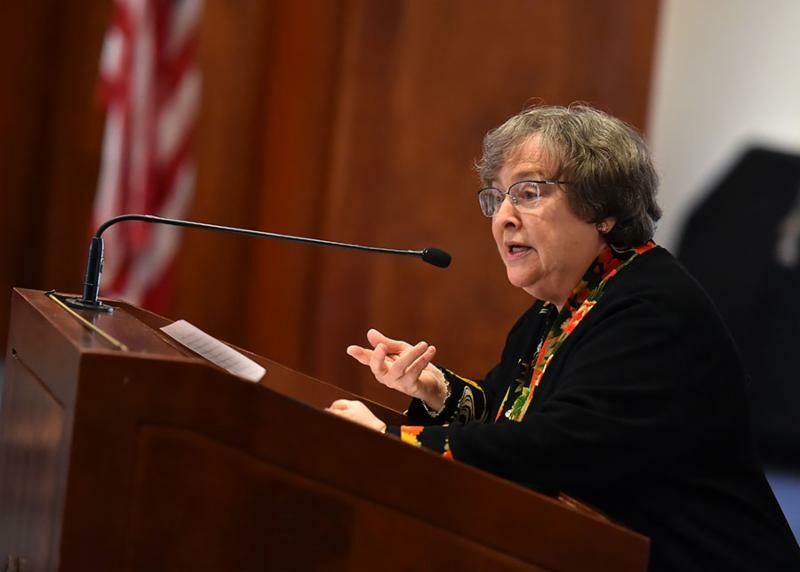 On April 14 and 21, 2015, Rita organized and sponsored two lectures at Fordham University by none other than Dr. Elizabeth Johnson, csj, who went about setting the record straight about Mary of Magdala. influential apostles-and she was not a prostitute. Mary keptvigil at the cross throughout Jesus' crucifixion, discovered the empty tomb after Jesus' resurrection, and was then commissioned to 'go and tell' the good news." The problem began in 591 when Pope Gregory characterized Mary of Magdala as a repentant prostitute, a label that "stuck" eclipsing her important leadership and apostolic roles, even today. "Making her a prostitute has allowed her leadership role among the disciples to be generally forgotten," said Dr. Johnson. "For those who prefer a Church with an exclusively male hierarchy, it is easier to deal with her as a repentant sinner than as an apostolic woman who had a voice and used it." To that we say, "Amen, Sister." Lectures are not the only work Rita is organizing and supporting. 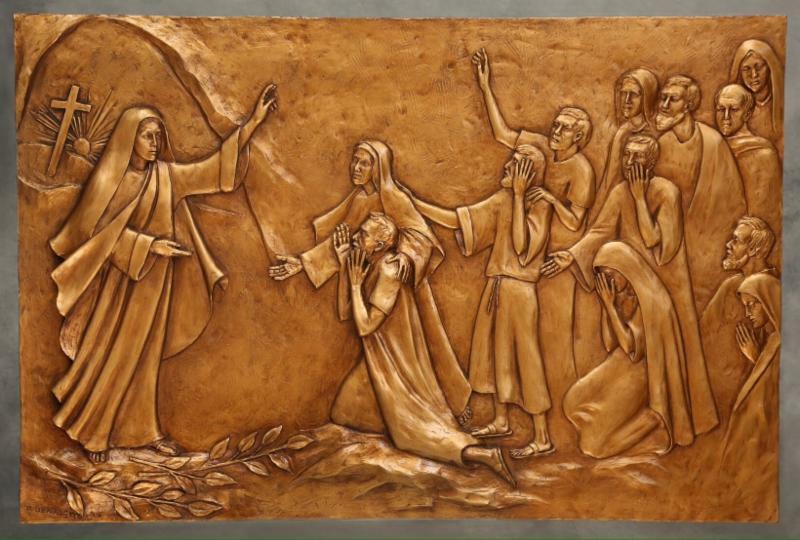 She also commissioned Sr. Peggy Beaudette, SC, to create a new work of art depicting Mary of Magdala at the resurrection with Peter, his wife and the small band of believers looking on in awe. Sr. Beaudette beautifully captures the power of the moment when Mary of Magdala proclaims what she has seen and heard from the risen Christ. The image will stir your imagination and change your perception. Rita's passion for restoring Mary of Magdala to her rightful role in the Church is a force to behold. Her love, solidarity and advocacy may well be born of the same spirit that we see in the very woman she defends. 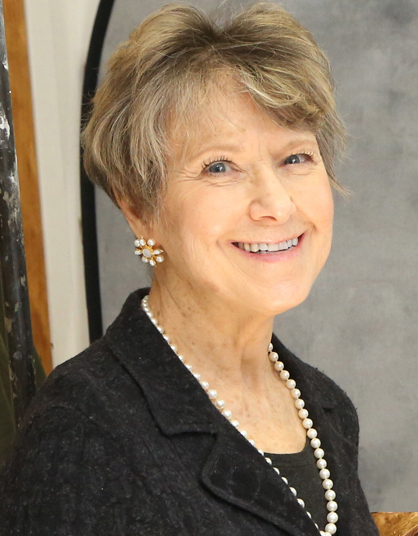 I am happy to say, Rita is a member of the board of trustees for FutureChurch that is its 25th anniversary this year! As many of you already know, FutureChurch has been leading celebrations honoring the feast of St. Mary of Magdala for nineteen years. We have new resources to help your parish or community celebrate the July 22nd feast day. Click here to download these resources. And please take a moment to support and invest in our ongoing work for women's full participation in the Catholic Church. We simply cannot do this work without you! P.S. We are nearing the end of our Women's Equality fundraising campaign. Please be as generous as you can!CLICK HERE to donate! Your donation makes a big difference in our ability to reach out to Catholics who need support in saving their beloved parish communities!